Cycling Shoes – How to Choose? So, you’re ready to take the leap… it’s time to switch your cycling shoes to clipless pedals. 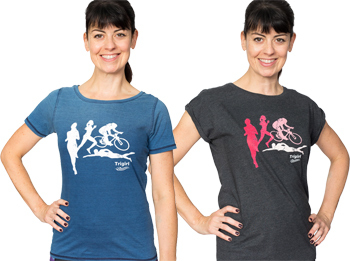 Perhaps you’ve started training for triathlon and it’s a natural progression, or maybe you’ve been cycling for years and you’re just working up the nerve. Either way, there are a few important things to know before you choose your new pedal-shoe-cleat system. First, know that moving to a clipless pedal is an excellent choice. The idea of your shoe being fixed to your pedal might be a scary one, but with a little practice, getting out of your pedals will be an easy, natural motion. 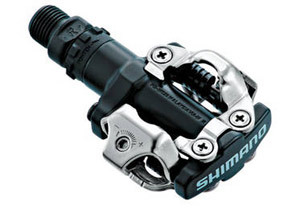 In addition, know that your new clipless pedals will really improve your cycling. A cycling- or triathlon-specific shoe is built on a rigid, stiff sole, allowing greater power transfer, more efficient use of muscle movement and greater overall economy… in other words, you’ll go faster using less energy. Always a good thing! There are different kinds of pedals and cleats, so it’s good to know a little bit about these before making your purchase. 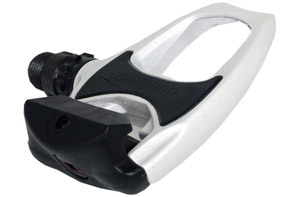 The two main cleat-pedal systems are SPD-style and Look-style. These are named after the manufacturers who initially introduced the systems, but are available from different brand names. • The 2-hole system is commonly known as the SPD system (short for Shimano Pedaling Dynamics, which was the first such system and still the industry standard). This smaller cleat size offers a solid connection to your pedal. The cleat is recessed into the sole allowing you the ability to walk around somewhat comfortably at least when compared to the 3-hole system. It is used on most mountain bike shoes and some road shoes (which may require adaptors) as well. • The 3-hole system is sometimes known as the Look-style system (for the pioneering manufacturer of this system). It grants you the ultimate in stability, stiffness and energy transfer while riding. The downside is that it compromises your ability to walk normally due to the large cleat bolted to the sole of your shoe. Both systems are valid. An important point to mention is that the pedals, cleats, and shoes all must work together- but shoes are sold separately. Therefore, be certain that you are buying a shoe that is drilled to accept the style of cleats that you’ve chosen and that the pedals and cleats match for performance and safety. Your bike store can help if you have further questions. It is also important that cleats are positioned correctly on your shoes in accordance with your body and riding style. It’s not a bad idea to have a professional help with this. In the event of niggles such as knee pain, even a slight cleat adjustment can make a big difference. As far as fit, your cycling shoes should allow room to wiggle your toes, but should fit close to your foot, offering support throughout the full length of the foot. Don’t adopt the idea that they’ll stretch- based on the rigid sole, they won’t give as much as your everyday shoes. 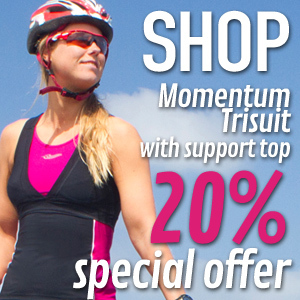 There are cycling shoes that are specifically for triathlon. These typically offer an easy velcro closure (often closing inward to allow easy on/off while cycling), good drainage, and an interior that allows them to be worn comfortably without socks. Regular cycling shoes are fine, too, just be careful that you don’t get a complicated closure system that won’t be suitable for a quick transition! Prices of cycling-specific shoes, like many cycling-related items, are based on what the shoe is made of (high-end equals carbon as a rule). This will effect the weight and in some cases the stiffness and comfort of the shoe. It’s worth reading some reviews and deciding what is most important to you based on your price range. Also, there are shoes specifically made for women that are a bit more fitted through the heel, as women’s feet tend to be narrower at the back than men’s. Try on more than one pair to know what feels best! Once you’ve chosen your new system, practice a bit, either on a turbo trainer or at least somewhere comfortably out of traffic. Pedals can be loosened to make getting out a bit easier- this is also easier on your knees! You’ll be surprised how quickly you can learn to get in and out of your pedals- and how much they improve your cycling. See our Size Chart and Fit page for more information.